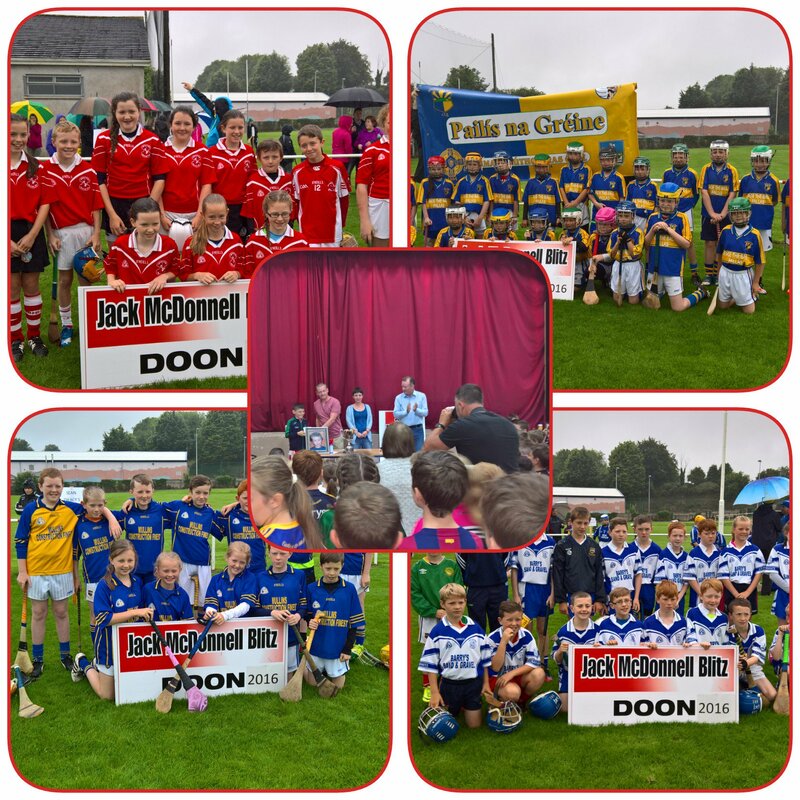 A round-up of Doon GAA Club’s games this year. The East Senior Championship was divided into two groups of three for 2017. Our first game took place on the 2nd of March against Ahane and we won by 9 points. Our second game against Cappamore took place in Doon on the 9th of April which we won by 10 points. These results meant we topped our group and qualified for the final against Murroe-Boher. To date the final still has not been played. In the County Senior League, we competed in an eight team Division 2 this year.We had victories over Monaleen, Croom, Sth Liberties, Mungret and Grannagh-Ballingarry. We received a walkover from Effin, and suffered our only defeat against Ballybrown. These results put us in 2nd place in the group, and with 2 teams being promoted, we will now play in Division 1 in 2018. The County Senior Championship kicked off on the 6th of May against Ahane. In a poor game we came out on top on a score-line of 1.12 to 0.11. Our second game was against Bruff and we won on a score-line of 4.24 to 2.13. We lost our third game to Kilmallock: 2.17 to 3.10, but followed up in our last two group games beating Sth Liberties by 16 points and Ballybrown by a goal.This qualified us for the quarter final against Adare played on the 16th of September in the Gaelic Grounds, in a live televised game. After a good performance the team came out on top on a score-line of 2.18 to 0.10. Next up was Na Piarsaigh a week later, again in the Gaelic grounds. After getting off to a very poor start we found ourselves down by 8 points after 15 minutes. The team worked hard to get back into the game and put it up to Na Piarsaigh for the rest of the game. Unfortunately we could never get closer than one point, and Na Piarsaigh finished strongly winning on a score of 2.18 to Doon’s 2.14. The Junior A Team started their year on the 19th of March against Ahane in the Brian Butler Cup. In a one-sided game we finished well on top winning by a margin of 21 points. In our second game of this competition we played Murroe-Boher, winning on a score of 2.14 to 1.07. This qualified us for the final against Caherline which was played in Capppamore on the 10th of August. After a good performance we emerged winners on a score-line of 1.19 to Caherline's 0.13. The Junior A championship started on 17th June against Ahane and we won this game by 2.17 to 0.06. We followed this up with wins in our next two games over Caherline and Murroe-Boher. In our final two league games we lost to Ballybricken by 11 points and Kilteely by 11 points also. By finishing fourth in the group we qualified for the semi-final where we were to meet Ballybricken. This was played in Cappamore on the 26th of August and we won on a score-line of 0.16 to 0.10. This brought us back in to the East Final where we met Caherline again. In a good team performance in Caherconlish, we emerged winners on a score-line of 1.15 to 0.12. This was a great result for the clubs second team against Caherline's first team, with our team having lost quite a number of players to the Senior grade over previous weeks. In the County quarter final, played in Martinstown, the team eventually finished its year, losing on a score-line of 0.24 to Doon's 2.11. The Junior B team struggled for numbers at times during the year, but still played out its matches in the East Junior league and championship. In the League we lost three games to Cappamore, Ballybricken and Fedamore, with our only win coming against Sth Liberties. In the championship we lost to Pallasgreen, Cappamore and Sth Liberties, we beat Fedamore and received a walkover from Ballybricken. This ended the team’s interest for the year. There was an early start to the year for the u21s. The competition was divided into 4 groups of 3, with the top team in each qualifying for the county semi-final. In our first game on the 28th of Feb we played Murroe in Martinstown, winning out on a score of 2.09 to 0.11. Our second game was played on a wet St Patrick’s day in Cappamore where we overcame Monaleen by a goal. This helped us top our group and qualify to meet Ahane in the county semi-final. This game took place in the Gaelic Grounds on the 28th of March and we emerged with victory on a score-line of 0.14 to 0.09. This pitted us against a very strong Na Piarsaigh side in the final. This was again played in the Gaelic Grounds on the 18th of April. After a hard fought game where the players gave everything they had, it wasn’t to be and we were very unlucky to lose out on a score-line of 0.18 to Doon’s 0.15. After receiving a walkover from Adare in our first match on the 7th of April, this team quickly got in to their stride and followed up with some very good performances, beating Patrickswell by 12 points, Garryspillane by 9 points, Na Piarsaigh by 10 points and Ahane by 3 points. We were short a few players when beaten by Mungret in round 6 on a score-line of Mungret 3.14 to Doon 1.13. We completed our league campaign with a win over Kilmallock in Doon on the 29th of August winning by 1.22 to 2.14. We topped the table after the group stages and were drawn to meet Garryspillane in the county semi-final. This game was played on the 13th of September under lights in the Gaelic Grounds. 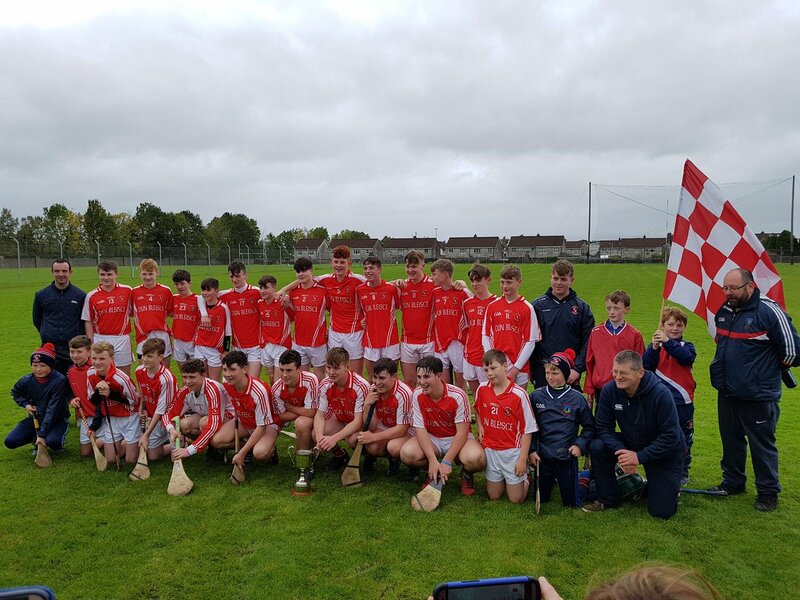 The U16 championship began with one round in April where Doon overcame Adare. After a break of over two months due to exams the next game was against Ahane in Doon. Ahane won comfortably on the night and a county championship looked beyond the reach of the team at the time. However Doon’s form improved hugely. Wins over Kilpeacon, Killacolla Gaels and Murroe-Boher meant that Doon qualified for the county semi-final against Garryspillane. Doon gave a great performance in this match and won on a score-line of 5-15 to 3-8. The county final was played in front of a large crowd in Claughaun on the 1st of October against Ballybrown. After another huge performance, Doon were crowned U16 A County Champions on a score-line of Doon 2-12 to Ballybrown’s 1-8. This was the same weekend that Doon’s Camogie U16 girls won their title also, marking a fantastic year for this age group in Doon. Our u14s began their year with Féile na nGael. We were beaten unluckily in the first round against Na Piarsaigh. The Division 1 championship group was very competitive and consisted of eleven good teams. Doon got off to a bad start losing a highly competitive game to Cappamore by a point. In the second round Doon met a very strong Cois Laoi Gaels team and suffered another loss. This game proved a turning point however and Doon won all of the remainder of their group games beating some very good teams along the way. Doon found victory against Newcastle West, Murroe-Boher, Bruff, Monaleen, Ballybrown, Patrickswell, Mungret and Na Piarsaigh. This was enough to qualify Doon for a County Semi-Final against Cois Laoi Gaels who had defeated Doon earlier in the year. After a great tussle Doon came out on top by 6-9 to 3-5 on the day and qualified for the final. 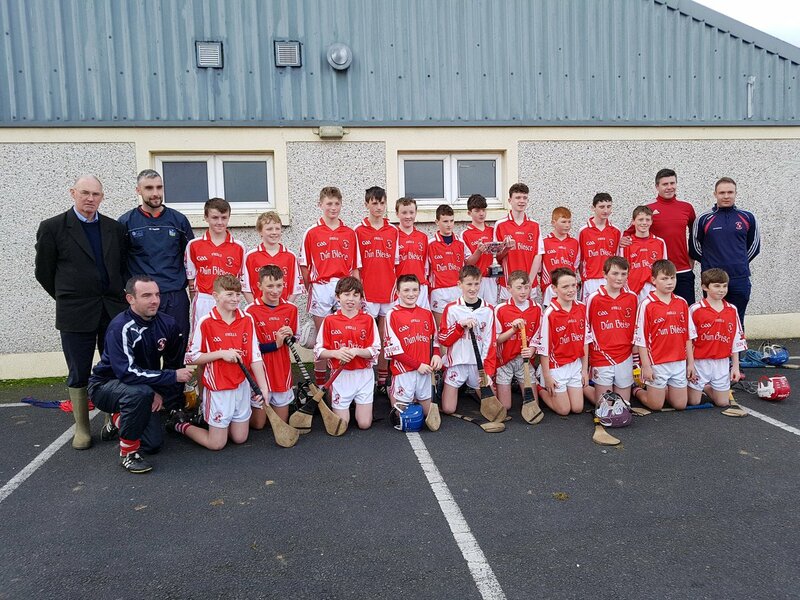 The U14 County Final was held on the 28th of October against Mungret St Pauls again in Claughaun. Another large crowd saw an absolute cracker of a game where both teams left everything on the pitch. Mungret came from behind twice to make a draw of the game at the end of normal time. Extra time was played and unfortunately the game was lost on a score-line of 3-10 to 1-13. This however did not take anything away from the brave and proud display. The U13 Championship is very competitive with just one team qualifying from the group stage for the final. Doon won all of their game beating Murroe Boher, Na Piarsaigh and Monaleen. 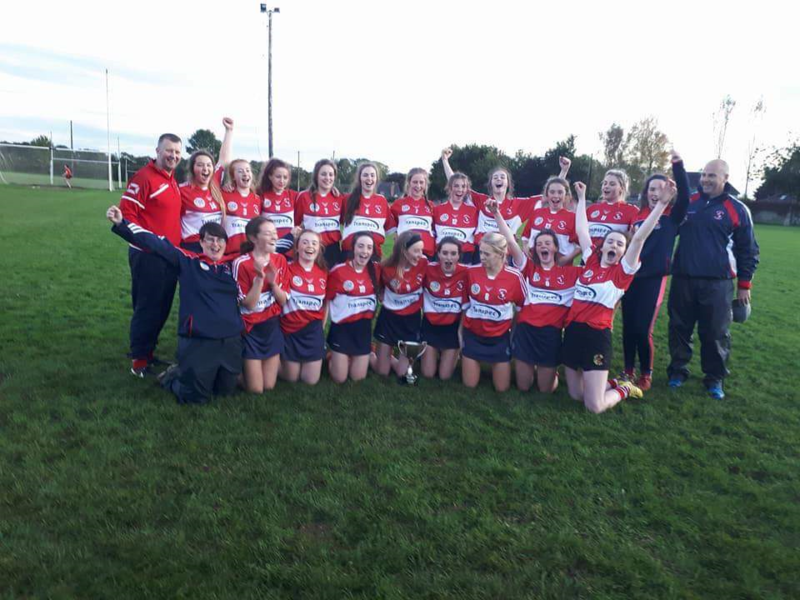 The County Final was played on the 30th of October just 2 days after the U14 defeat and Doon ran out comfortable winners in the end of a well contested game against Newcastle West. For the first time Doon entered three teams in the U12 league. This consisted of one team of full age U12 players and 2 teams of U11 players. All fixtures were fulfilled and the 3 teams were very competitive. The U12 team was undefeated during the year. These well-run leagues all came to a Finals evening in UL which the players all enjoyed immensely. They also competed in several challenge games and tournaments throughout the year. For the first time Doon won the Darren Hickey Memorial tournament which was well ran by the Rathdowney/Errill club in Laois, beating a highly rated St Rynagh’s of Offaly in the final . 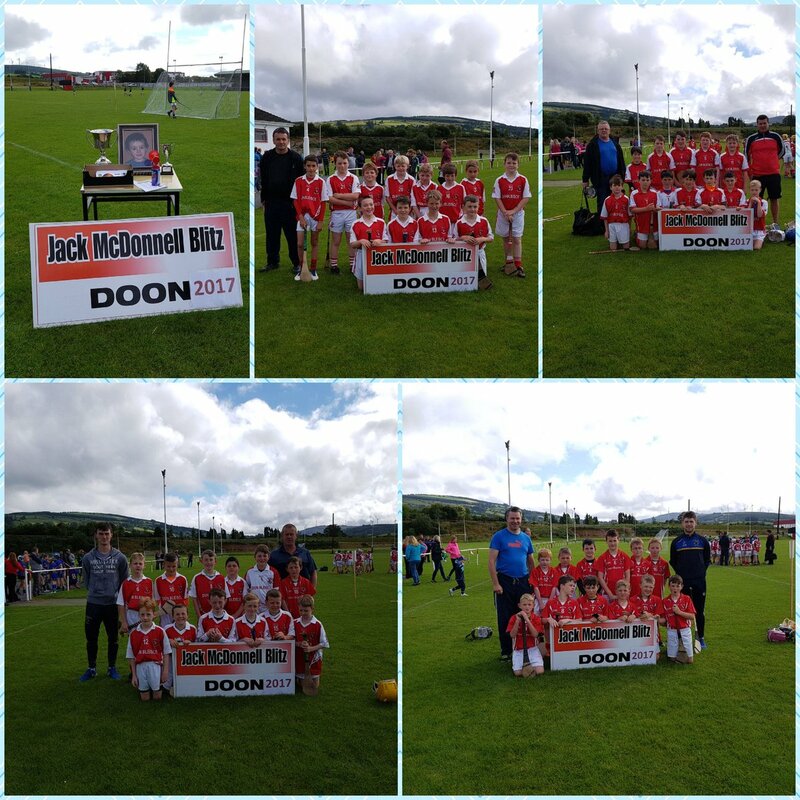 On the 22nd of July Doon held the now Annual Jack McDonnell Tournament. This is a fantastic day for young and old and a fitting tribute for Jack. Our u10s, u8s and u6s are continuing to make great strides week in week out under the guidance of several parents and coaches. It is great to see so many people and parents involved with the nursery and hopefully this will continue for many years to come. 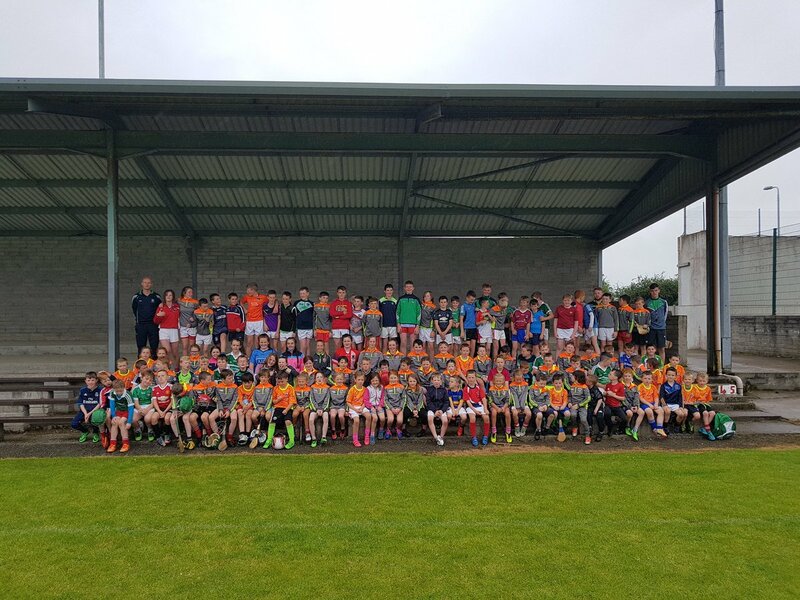 Our Cúl Camp again this year was a great success with over 110 children attending. Under the guidance of great coaches, many of which were our own clubmen the children enjoyed their week greatly and were well impressed by the level of coaching. Off the field of play our Annual New Year’s Day walk and run was held, starting out from the clubhouse. On a fine day, a great crowd took part. On the 5th of February, Doon GAA gave the use of our pitch and facilities to host an inter-county Senior Hurling challenge game between Limerick and Waterford. In breaking from the norm for a challenge game, both teams fielded their strongest teams for the occasion. The club held a very interesting and informative talk and Q & A session in Doon on 23rd February with former Armagh star Oisin McConville. Oisin discussed his addiction to gambling and its effects on his private life and playing career. A big crowd turned on the night and were treated to a great night. The club held a much needed Social Night and Fundraiser on the 1st of April in Limerick Greyhound Stadium . This raised some badly needed funds for the club and also turned out to be a very enjoyable night for all who attended. Last Christmas, the club made a presentation of a first hurley to every boy and girl in Junior Infants in Doon and Oola Primary Schools to start off their hurling and camogie careers. These presentations were made by our County players Pat Ryan and Richie English. Senior – Darragh O Donavan, Pat Ryan and Richie English. Congratulations to Barry Murphy and Eoghan McNamara on winning All Ireland U 21 Medals in 2017 and also to Darragh O’ Donavan and Richie English on winning their second Fitzgibbon Cup medal with Mary I this year. Eoghan McNamara (Trinity) and Pat Ryan (U L) also represented their colleges in the Fitzgibbon Cup this year. Congratulations to Scoil Na Tríonóide Naofa on winning the Limerick colleges Senior and Junior camogie titles, and to Doon CBS Primary School on winning the Leader Cup for the 3rd year in a row. Finally Doon GAA would like to thank all our players, mentors and supporters for their continued support in 2017 and would like to wish each of you best wishes for 2018. The club is has reached its fifth year and marked same with wins in U13 12a-side B Championship, U14 A Championship Shield and Limerick B Feile, U16 League and 16A Championship . The U12’s had a good year also playing many competitive league and blitz matches throughout the year. The Minor Championship is still in progress with Doon doing well to date in same. It was a great achievement for our U14’s to compete in the All-Ireland Division 3 Feile coming top of the group stage to reach a quarter final against Clare Castle of Clare. They one this and reached the semi-final against Naas of Kildare but it was not to be Doon’s day losing on a score line of 1-7 to 0-5. We would like to thank all businesses, sponsors and parents who supported the Feile Weekend. It was a great year for our U16’s wining the league earlier in the year beating Newcastle West and to continue the momentum into the championship beating Kileedy in the 16A Final was a fantastic achievement.